Getting your film into a festival is no cakewalk. It requires a certain level of planning and strategizing to ensure your film succeeds. The experts who accept submissions (or programmers as they’re called) for film festivals have 8 tips for making your film irresistible. Do your research – The criteria, rules, and requirements for films differ from one festival to another. Submitting your romantic comedy in a documentary film festival will only make you look desperate and worse, ignorant. Learn about different festivals and understand where you fit. Use a hook – Programmers are looking for unique and cutting-edge films, not something common. State what sets your film apart. Does it use a different filming technique? Was it shot in a unique style? Any hook which will grab the programmer’s attention is enough to get your entry selected for the film festival. Personalize your case, but not too much – You made the film for a reason and that’s what needs to be told. Your personal life story is of no interest to programmers. They have hundreds of entries to skirt. If you make the submission a look into your life rather the film, be prepared to hear back in the negative. Showcase how your film can help the festival: If the quality of films showcased at a film festival is superior, then it is able to gather a larger audience and market itself better. Explain how your film can draw in a sizable audience, thus making the festival a success. Network: There is no guarantee your interactions with a programmer can turn out in your favor. But what’s the harm in trying? Many programmers are actively looking out for talent and all you have to do is shake their hand. If you make a positive impact, great. Ask for a waiver: You can easily bypass the entry fees and other formalities. All you have to do is ask. If they do not agree, no problem. But always ask, and you might just get lucky. Don’t play the minority card: You aren’t the first anyone – Asian, Latino, woman, teenager, LGBT, etc. – to make a film. There have been numerous before you. Adding a minority angle to your submission does not help your film get in any faster. Don’t get discouraged: Rejection of your film is not a reflection of its quality and talent. It only means the film is not for that particular festival. Keep trying and you will find the right festival for your film. Follow these tips to make sure your film reaches a wide audience, and more importantly, the right audience. 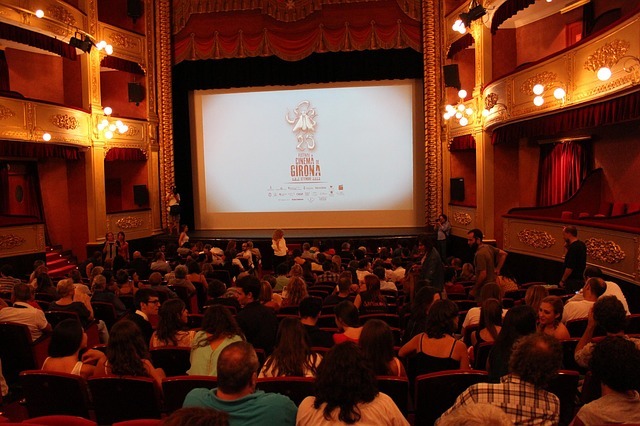 8 tips from festival programmers and planners which can help get your film into film festivals.